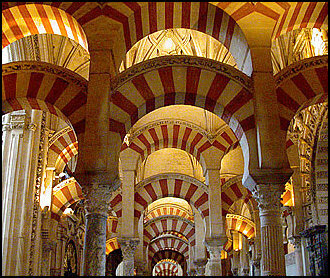 The masjid has columns that support horseshoe-shaped arches that are decorated with stripes. 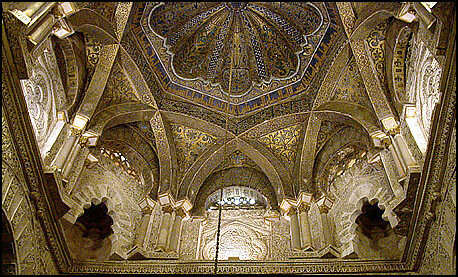 It contains a total of 850 columns! It is like a forest sprouting from the marble floor. Yet because the arcs are layered, the inside of the building has a light and airy feeling. 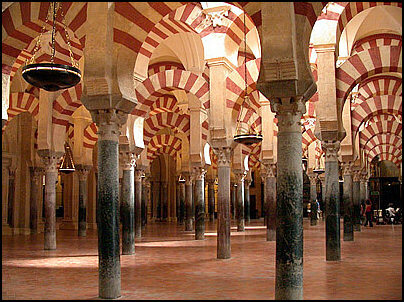 The prayer hall (23,400 square meters) is filled with almost 500 hundred slender columns alone. You have to look in all directions to appreciate the architecture. The ceiling is no exception. The dome is made mostly of blue and gold! 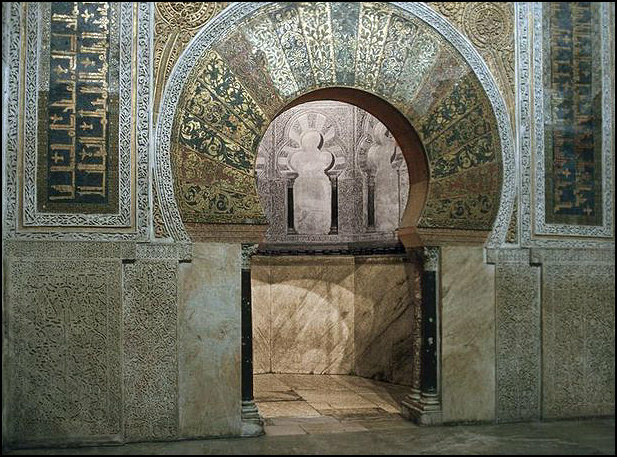 The Mihrab indicates the Qibla, which is the direction of the Kaa'ba in Makkah. All Muslims pray towards the Qibla.